READY! This beautiful handcrafted Summerfield EXP by JFE Construction is full of upgrades! This EXPANDED plan has a MAIN FLOOR MASTER SUITE on a spacious 2,200 sf main floor, open Great Room with vaulted ceiling, custom wood floors, prep style pantry, & large kitchen island. Spacious finished lowered level features a grand wet bar, family room, game room and bedrooms 3 & 4. Walkout basement, and a large covered deck w/ outdoor fireplace.. You'll love the extra attention to detail in every JFE home. 159th and Quivira in Overland Park. Travel South on Quivira to 168th St then turn right into Century Farms. Drive past the model homes and turn right on W 169th St. Home will be on the left. 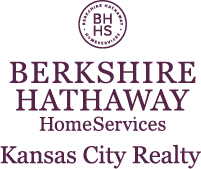 I am interested in 12305 W 169th Street, Overland Park, KS 66221.